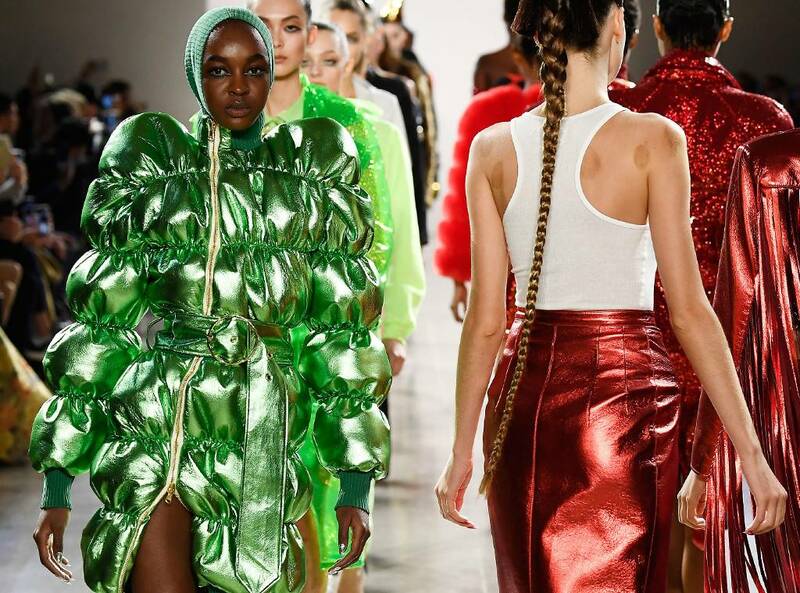 New York Fashion Week is the first stop on the international fashion week circuit which commandeers the whole month of September for the fashion press. The Big Apple was first in a long line of cities – London, Milan, Paris – rolling out Spring 2019 collections by the world’s top ready-to-wear designers to anxiously waiting retail market. 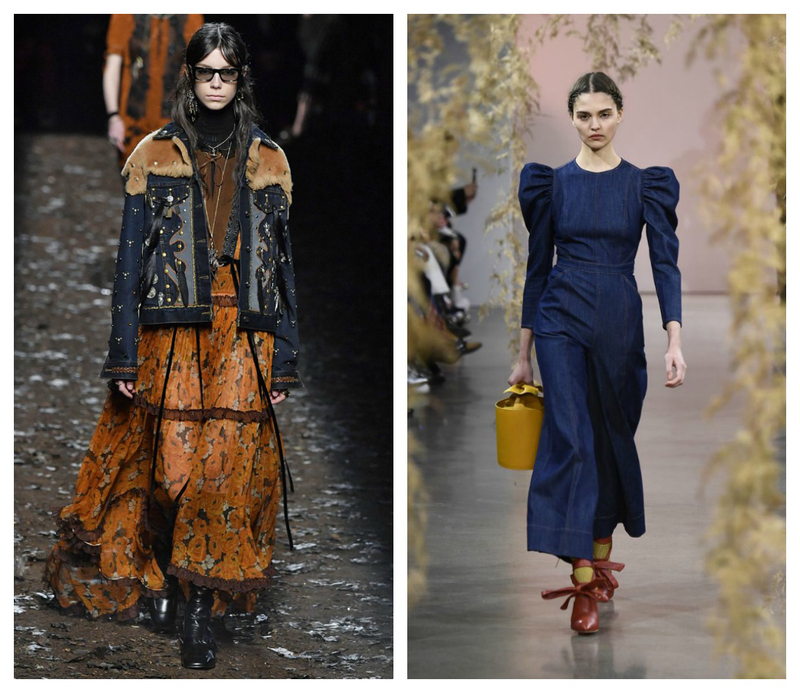 Here are our suggestions for next year’s trends looks you can successfully tap into before next spring and flaunt your fashion savvy! 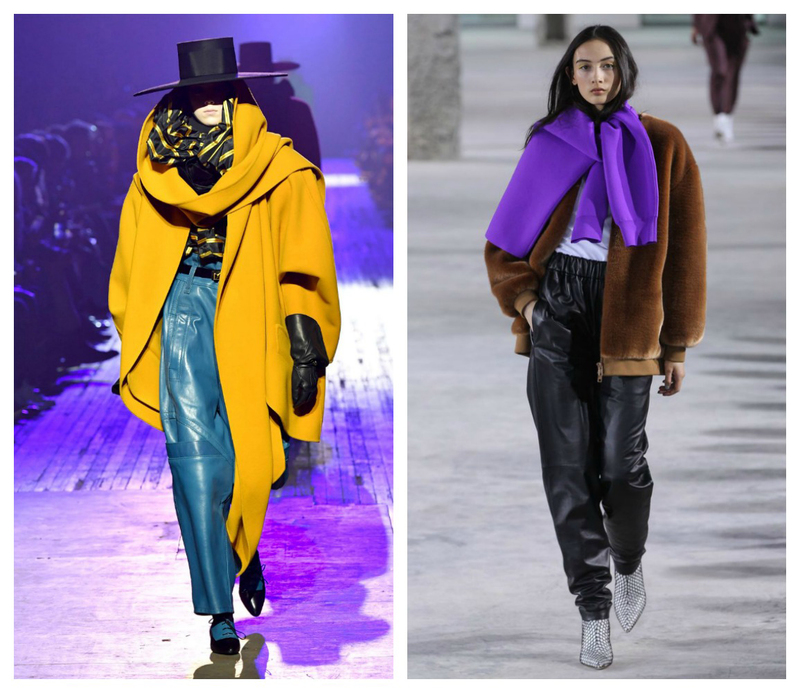 Marc Jacobs and Tibi sent oversize, brightly coloured outerwear down the runway paired with leather pants and scarves so large they could obscure your ability to walk a straight line! To add an element of fun and cozy wonderfulness, start with this season’s must-have – the neutral Teddy Bear coat – and layer on the colour using accessories like scarves, mitts, and hats. Just when you thought last year’s grey was getting boring, Alexander Wang has repurposed traditional cable-knit into trousers and they are amazing. To elevate your style, add textural blacks and hints of silver to look like you just stepped out of a Vogue editorial. Ulla Johnson’s approach to knitwear is to create layers of elements that together are stunning but can be worn beautifully as separates. 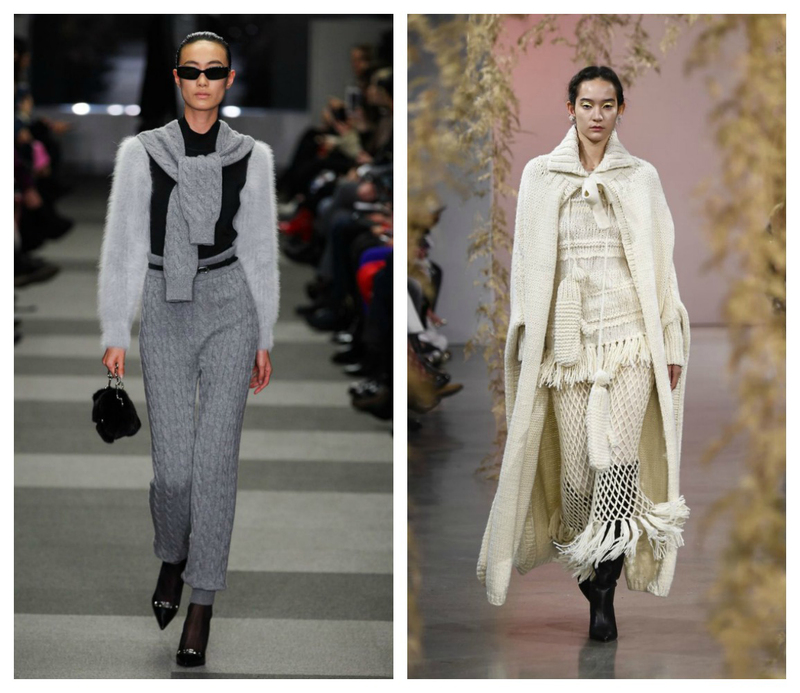 Long knit sweaters or capes add an element of Euro-chic to even the most basic day-time look. To finish add an elegant shoe, a camel scarf, and sleek leather gloves. Puffer coats made a strong comeback in 2018 and labels like Moncler, Lululemon, and Isabel Marant have pumped up the puffer and have released ¾ and full-length versions in a wide array of patterns and colours. 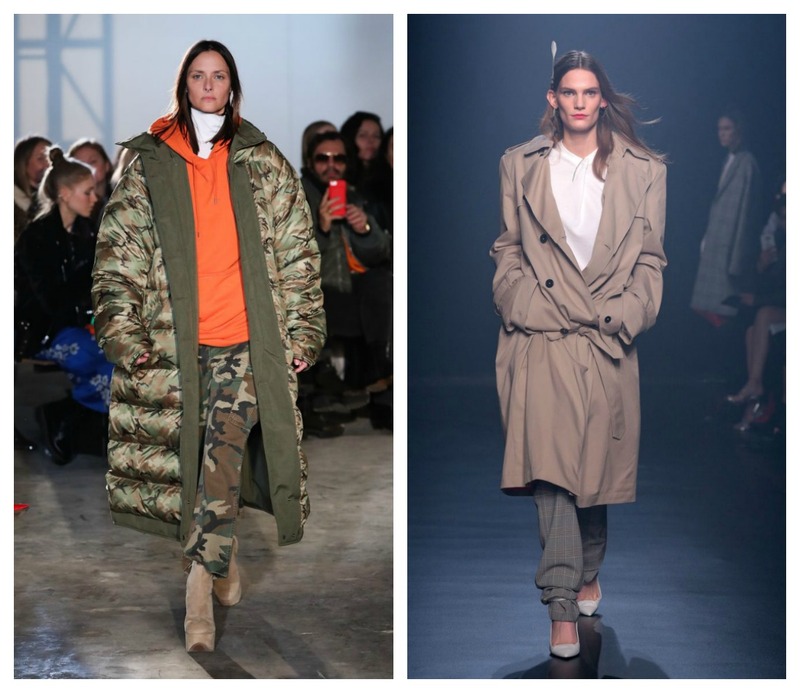 Under the puffer are hoodies and camo pants, even the shunned cargo pant has snuck its way back onto the runway. It is hard to imagine an outfit that doesn’t look great with an oversized jacket creating an interesting silhouette. Elevate your look with the addition of footwear that seems the polar opposite – a Christian Louboutin stiletto, Chanel runner, or a Frye knee boot. Building on this past summer’s return of boho chic and the influence of festival fashion, Coach and Ulla Johnson, are taking the trend further with heavier fabrics and styling for cooler climates. Summer dresses easily transition to winter wear with the addition of slouchy sweaters, oversized jean jackets, and a pair of boots. Ulla Johnson’s wide-leg denim jumpsuit is fantastic with potential. To transition from spring to fall look, add a puffer vest to show-off those incredible sleeves, a wide belt, and thick-soled Maison Martin Margiela ankle boots. 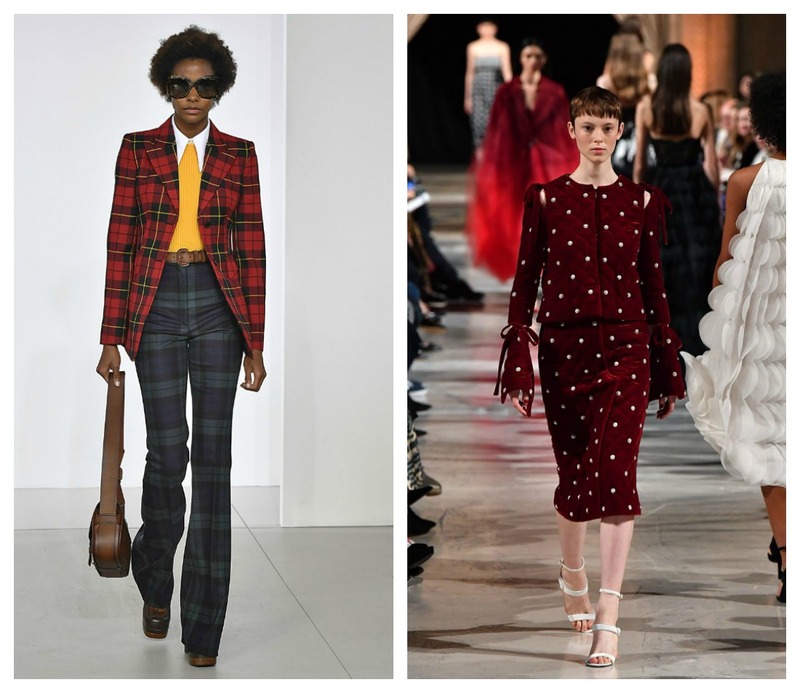 At first glance, these two outfits – the plaid by Michael Kors and the polka-dot by Oscar de la Renta – don’t appear to have much in common. Kors creating a retro collegiate look with classic pieces and de la Renta using pearls on quilted-velvet to tell a tale of luxury. Now imagine all the elements as separates. How cute would the tartan trousers look with the velvet top or the orange knit top with extended tab collar together with the velvet skirt? When deciphering what appears to be hard-to-wear looks on the runway, pick and choose your favourite elements and build from there. At Turnabout, the September fashion weeks are an exciting time and we are happy to share inspiring tips to help build your west coast wardrobe.